Smart statists understand that there are very strong Laffer Curve effects at the top of the income scale since investors and entrepreneurs have considerable ability to control the timing, level, and composition of their income. So if higher tax rates on upper-income taxpayers don’t collect much revenue, why is the left so insistent on class-warfare taxation? The answer, I think, is that soak-the-rich taxes are a “loss-leader” that politicians impose in order to pave the way for higher taxes on the middle class. Indeed, I made this point in my video on class warfare taxation, and noted that are not enough rich people to finance big government. As such, politicians that want to tax the middle class hope to soften opposition among ordinary people by first punishing society’s most productive people. We already know that tax rates on the so-called rich will jump next January thanks to higher income tax rates, higher capital gains tax rates, more double taxation of dividends, and higher death taxes. Now the politicians are preparing to drop the other shoe. Excerpted below is a blurb from the Washington Post about a member of the House Democratic leadership urging middle-class tax hikes, and let’s not forgot all the politicians salivating for a value-added tax. Tax cuts that benefit the middle class should not be “totally sacrosanct” as policymakers try to plug the nation’s yawning budget gap, House Majority Leader Steny Hoyer (D-Md.) said Monday, acknowledging that it would be difficult to reduce long-term deficits without breaking President Obama’s pledge to protect families earning less than $250,000 a year. Hoyer, the second-ranking House Democrat, said in an interview that he expects Congress to extend middle-class tax cuts enacted during the Bush administration that are set to expire at the end of this year. But he said the extension should not be permanent. Hoyer said he plans to call for a “serious discussion” about the affordability of the tax breaks. …The overarching point in Hoyer’s remarks is the need for a bipartisan plan that includes spending cuts and tax increases, in the tradition of deficit-reduction deals cut under former presidents George H.W. Bush and Bill Clinton. Drafting such a plan would require a reexamination of tax cuts enacted in 2001 and 2003, Hoyer says – cuts that benefited most taxpayers. The chart below shows everything you need to know about why the United Kingdom is a fiscal disaster. Over the past 10 years, the burden of government spending has skyrocketed from 36.6 percent of GDP to more than 53 percent of GDP. Taxes, meanwhile, have remained largely unchanged, averaging about 40 percent of GDP. Since the OECD numbers show that the fiscal crisis in the U.K. is solely the result of a bloated public sector, the obvious solution is … you guessed it, higher taxes. David Cameron’s new coalition government has announced support for a higher capital gains tax and is signalling that this will be followed by an increase in the value-added tax. There are some proposals to curtail the growth of spending, including some pay cuts for Prime Minster Cameron and other political figures, but I will be very surprised if those amount to more than window dressing. The United Kingdom, I fear, has gone past the point of no return in the journey toward becoming indistinguishable from the decrepit welfare states so common in the rest of Europe. According to the Tax Policy Center, a Washington, D.C., research organization, nearly half of U.S. households will pay no federal income taxes for 2009…because their incomes are too low or they have higher income but credits, deductions and exemptions that relieve them of tax liability. This lack of income tax liability stands in stark contrast to the top 10 percent of earners, those households earning an average of $366,400 in 2006, who paid about 73 percent of federal income taxes. …Let’s not dwell on the fairness of such an arrangement for financing the activities of the federal government. Instead, let’s ask what kind of incentives and results such an arrangement produces and ask ourselves whether these results are good for our country. …Having 121 million Americans completely outside the federal income tax system, it’s like throwing chum to political sharks. These Americans become a natural spending constituency for big-spending politicians. After all, if you have no income tax liability, how much do you care about deficits, how much Congress spends and the level of taxation? Steyn and Williams are right to worry, but the situation is not as grim as it seems for the simple reason that a good portion of the American people know the difference between right and wrong. Consider some of the recent polling data from Rasmussen, which found that “Sixty-six percent (66%) believe that America is overtaxed. Only 25% disagree. Lower income voters are more likely than others to believe the nation is overtaxed” and “75% of voters nationwide say the average American should pay no more than 20% of their income in taxes.” These numbers contradict the hypothesis that 47 percent of Americans (those that don’t pay income tax) are automatic supporters of class-warfare policy. So why are the supposed free-riders not signing on to the Obama-Reid-Pelosi agenda? There are probably several reasons, including the fact that many Americans believe in upward mobility, so even if their incomes currently are too low to pay income tax, they aspire to earn more in the future and don’t want higher tax rates on the rich to serve as a barrier. I’m not a polling expert, but I also suspect there’s a moral component to these numbers. There’s no way to prove this assertion, but I am quite sure that the vast majority of hard-working Americans with modest incomes would never even contemplate breaking into a rich neighbor’s house and stealing the family jewelry. So it is perfectly logical that they wouldn’t support using the IRS as a middleman to do the same thing. Fiscal restraint is a necessary precondition for any pro-growth tax reform. If given a choice between a flat tax, national sales tax, value-added tax, or the current system, many Americans want reform, but it is very difficult to have a good tax system if the burden of government spending is rising. Likewise, it would be very easy to have a good tax system if we had a federal government that was limited to the duties outlined in Article I, Section VIII, of the Constitution. Republicans should never acquiesce to higher taxes. All these good numbers and optimistic findings are dependent on voters facing a clear choice between higher taxes and bigger government vs lower taxes and limited government. If Republicans inside the beltway get seduced into a “budget summit” where taxes are “on the table,” that creates a very unhealthy dynamic where voters instinctively try to protect themselves by supporting taxes on somebody else – and the so-called rich are the easiest target. Last but not least, I can’t resist pointing out that I am part of a debate for U.S. News & World Report on the flat tax vs. the current system. For those of you who have an opinion on this matter, don’t hesitate to cast a vote. I’ve known and liked Bruce Bartlett for more than 20 years, so you can imagine my dismay that he is now arguing for a value-added tax (VAT). I’m not sure whether his mind has been captured as part of a remake of Invasion of the Body Snatchers or if he’s just been hanging around Washington for too long, but his implication that it is possible to be a pro-market conservative while supporting a huge new tax to finance bigger government is absurd. Conservatives (not counting the big spenders who call themselves “compassionate conservatives”) share the libertarian goal of smaller government. And trying to achieve smaller government by raising taxes is akin to treating alcoholics by giving them keys to a liquor store. Based on the experience in other countries, I estimate that a U.S. VAT could realistically tax about a third of the gross domestic product (GDP), which would raise close to $50 billion per percentage point. If we adopted Europe’s average VAT rate of 20%, we could raise $1 trillion per year in 2009 dollars. He makes the point that a VAT does not do as much damage, per dollar raised, as the personal or corporate income tax, but so what? That would only be a compelling argument if the VAT was used to eliminate other taxes. At the risk of pointing out the obvious, that’s not what he’s proposing. Replacing the corporate tax with a VAT would unquestionably improve the competitiveness of all U.S. exporters. Even here, though, his argument is misleading. A VAT would have no impact on U.S. exporters. All the benefits would occur only because the corporate income tax would disappear. Not that this matters since Bartlett is not advocating for that position. He then continues to muddy the waters by citing Senator DeMint’s legislation, presumably to make it seem as if his plan is good by association. Sen. Jim DeMint, R-S.C., introduced legislation (S. 1240) to establish a business consumption tax that is, in essence, a VAT. There is a gigantic difference, of course, between Bartlett and DeMint. The senator proposes to replace the internal revenue code, whereas Bartlett wants to augment it. [W]henever I suggest the idea of a VAT for the U.S., I am attacked by supply-siders and assorted right-wingers. The other day my friend Larry Kudlow criticized me for wanting to “Europeanize the American economy.” Their concern is that the VAT is a money machine that will lead to higher taxes and bigger government precisely because it is such a “good” tax. I myself held this same view for many years. But eventually I decided that it was stupid to oppose something because of its virtues. Opposing a VAT because it’s too good is like breaking up with your girlfriend because she is too beautiful. The last line is clever, but ridiculous. 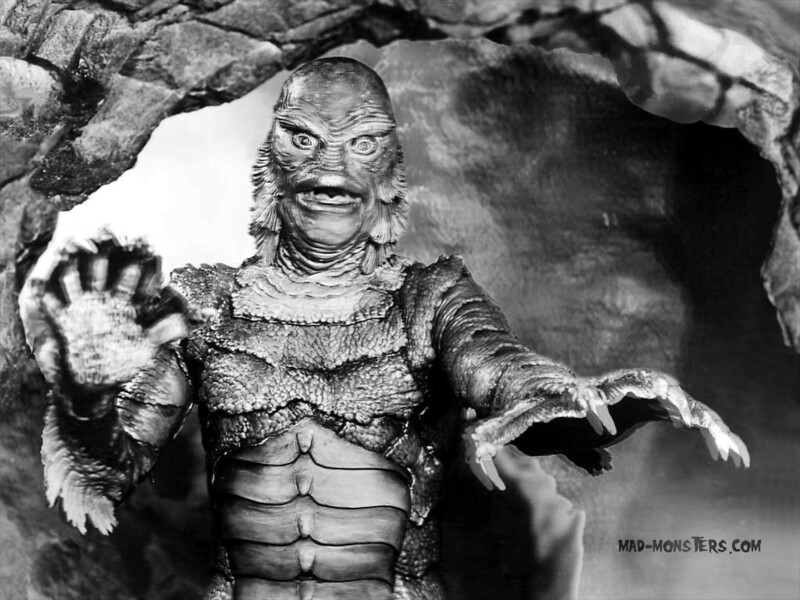 The more appropriate analogy is that you are married to the Creature from the Black Lagoon, and Bartlett wants you to take the Wicked Witch of the West as a second wife. If you want the real story on the VAT, watch this video. Michael Tanner and Michael Cannon are working nonstop to derail government-run health care, but they better figure out how to work more than 24 hours per day, because if they fail, it is very likely that politicians will then look for a new revenue source to finance all the new spending that inevitably will follow. Unfortunately, that means a value-added tax (VAT) will be high on the list. Indeed, the VAT recently has been discussed by powerful political figures and key Obama allies such as the Co-Chairman of his transition team and the Speaker of the House. The VAT would be great news for the political insiders and beltway elite. A brand new source of revenue would mean more money for them to spend and a new set of loopholes to swap for campaign cash and lobbying fees. But as I explain in this new video from the Center for Freedom and Prosperity, the evidence from Europe unambiguously suggests that a VAT will dramatically increase the burden of government. That’s good for Washington, but bad for America. Even if the politicians are unsuccessful in their campaign to take over the health care system, there will be a VAT fight at some point in the next few years. This will be a Armageddon moment for proponents of limited government. Defeating a VAT is not a sufficient condition for controlling the size of government, but it surely is a necessary condition.